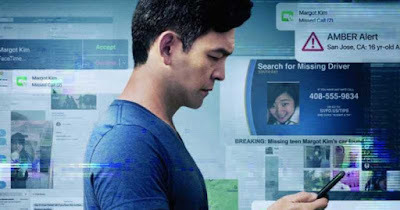 LOST IN CYBERSPACE: a review of "Searching"
This one really shook and rattled me down to my bones. I will forever appreciate when a film can take me completely by surprise and for my sense and sensibilities, Director Aneesh Chaganty's film debut "Searching" is 2018's finest thriller and believe me, I never saw this one coming. Chaganty has created a powerful thriller that exists without graphic violence, without prefabricated set-ups and preposterous outcomes. It is a film that is set and planted so firmly inside what is now the mundane in our 21st century societal landscape regarding our relationship with electronics, the internet and social media, that the results nearly push the thriller element into sheer horror, for how rapidly and how realistically the very premise could logically occur to any one of us in the real world. 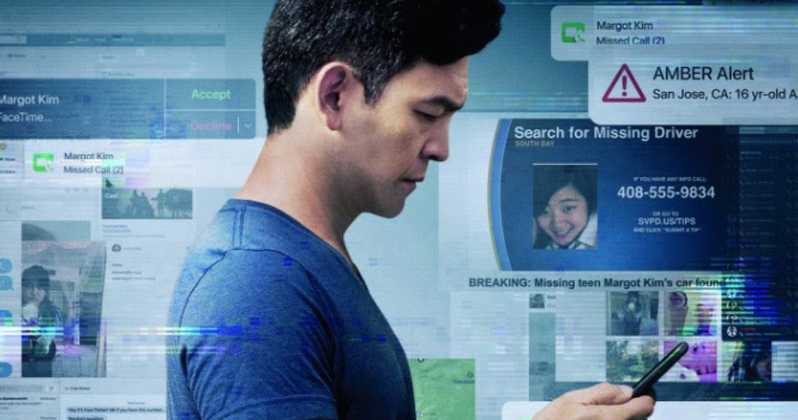 Brilliantly possessing and utilizing more thought that it ever needed to have, "Searching" is a popcorn thriller re-contextualized into a multi-layered experience that plunges into the dark heart of our on-line obsessions and dependency. And through Aneesh Chaganty's innovative techniques (more on that later), "Searching" grows into something that is nothing less than ingenious in its white knuckle tension as well as its deeply astute societal commentary. Set in San Jose, California, "Searching" stars John Cho as David Kim, devoted husband to Pamela Kim (Sara Sohn) and Father to their daughter Margot (Michelle La). After Pamela's death from lymphoma, David and Margot, while still close, gradually begin to emotionally drift apart, never connecting upon the loss that has forever altered their lives together as well as individually. One night, Margot visits a friend's house for a school study group. Later that night, Margot attempts to call David three different times to no avail as her Father is sound asleep. By morning, as David awakens and spends the day trying to re-connect with Margot, he soon discovers that she is indeed missing, thus beginning a search into her whereabouts with the aid of Detective Rosemary Vick (Debra Messing). This is as far as I am willing to go with plot description regarding the film. But in essence, what I have given you is as much as you need heading into Aneesh Chaganty's "Searching," a film that again takes the exceedingly familiar, so familiar that it is now commonplace and even innocuous, and transforms it into something utterly terrifying. I would not be surprised if your perceptions are altered after viewing this film, just as mine were. So much so, that logging onto my favorite sites felt markedly foreign all over again...and to the point of being absolutely sinister. Now, regardless of everything that we have been hearing in the news regarding privacy issues and the dissemination of fake news, I am not the person to jump onto the "Facebook Is Evil" bandwagon. Facebook is not the monster, in and of itself, for everything depends upon how it is being used and the intentions of the user. That being said, "Searching" feels like the perfect extension of films like David Fincher's "The Social Network" (2010) and even Bo Burnham's "Eighth Grade" from this year, as the former film served as a societal warning to our decreasing sense of humanity as or technological advances continued to increase, while the latter delved into our societal dependence upon social media and the soul sickness that has resulted from our human disconnections with each other plus the multiple lives we live and cultivate when comparing our activities within the real and virtual worlds. It is this very conceit and perspective that makes "Searching" such an insidious feature, especially as Chaganty is never hyperbolic in his storytelling or messaging, simply allowing everything to unfold in a matter-of-fact fashion that only accentuates the terror as the social media landscape is so vast, uncharted and therefore, unchecked and regulated, seemingly impossible to ever being effectively policed. We are shown precisely just how easy it is to hack into another's social media accounts, how simple it is to assume another identity, how the creating of new personas and on-line lives is simultaneously cunning as well as almost seen as an afterthought. This thematic quality ties directly into the aforementioned technique that Chaganty employs in "Searching" and at is he has chosen to tell his story solely through the lens of social media, text messages, laptop and surveillance cameras, television broadcasts and the like, meaning not one scene in the film is set explicitly in the real word as everything is viewed through another lens. This effect, which could have completely existed as a gimmick, is in actuality superbly and seamlessly executed, allowing the film to function as an unnerving Hall of Mirrors for the characters as well as ourselves, as David Kim, through his relentless pursuit of his daughter, is forced to confront his impressions of the person he knows in the real world and the greater truth of the person that exists within the internet and social media, therefore upending everything that he ever knew to be real about this child and ultimately, his own life and family. Smartly not content to just allow "Searchng" to exist as a dizzyingly inventive visual feat, Aneesh Chaganty has ensured that his film is cemented with a series of compelling and realistic characters and motivations that allows the thriller to unfold cleanly and almost as akin to a magic trick being slowly unveiled before our eyes. Yes, it is an intense as something like Ron Howard's "Ransom" (1996), for example. But what made the film burrow deeply under my skin was all contained in the film's opening minutes as we witness the life and times of the Kim family, entirely through photos, home videos taken via computer cameras, computer calendars and so on, from Margot's earliest years through her Mother Pamela's death, making for a sequence that was as devastating as the opening sequence from Pixar and Pete Doctor's "Up" (2009). "Searching" could have easily existed as the next revenge film like Pierre Morel's "Taken" (2008). But Chaganty gave us something exceedingly better, deeper, and defiantly more palpable in its wrenching tension, and it was all due to its overall sense of humanity. In addition to serving as a thriller and cultural commentary, "Searching" is also a stirring meditation upon grief and mourning. Just look at the film's title and especially at John Cho's pitch perfect performance (once again, representation is everything as "Searching" marks itself as the first American thriller headlined by an Asian-American), as we are easily able to regard the multiple meanings implicit in the film's name, Yes, David Kim is literally searching for his daughter. Yet, we are also asked to read the word regarding how it is used within our lives within the internet as well as David and Margot's pursuit of solace in the aftermath of Pamela's death, which rightfully hangs over the entire film as a cloud of unending sorrow. That feeling of loss is indeed the soulful core of Aneesh Chaganty's "Searching." The loss of loved ones and family but perhaps, even greater, the gradual yet rapid loss of ourselves over something that is, in essence, quite meaningless. This message is intended for those of you who happen to be parents, particularly of teenagers. As stated, there is nothing gratuitous within "Searching." No graphic violence or anything of that salacious content. However, I do think that what is presented in the film is done so through a viewpoint that is more realistic than escapist making the drama of the film much more aching than one might envision before heading into this movie. 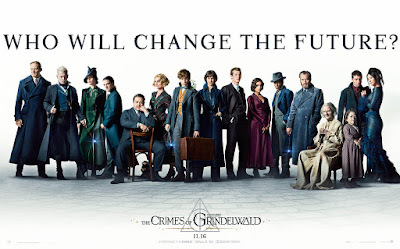 Perhaps I might be over-sensitive but it did cross my mind as I watched the film and remarked upon how effective and even moving the experience was for me...and I do not have children of my own at all. Yet, if by seeing this film one was to become more watchful of their child's on-line activities, then I would imagine that the film has made a positive impact. To that end, this postscript is not to be read as a warning for you. Just some words of preparation from your friendly neighborhood film enthusiast. HAPPY 9TH BIRTHDAY TO SAVAGE CINEMA!!!! There is this suggested sense of small-ness that is connected to those two words but I graciously and politely implore of all of you, dear readers, to please recognize and gather the magnitude contained within those two seemingly tiny words. 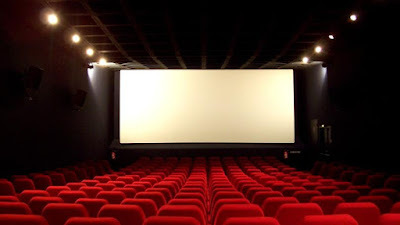 It was nine years ago today as I sat in the basement of my parents' house in south suburban Chicago, IL when I first hatched this blogsite with the hopes and wishes to simply have a "home" to house my musings about the movies that I saw in my cinematic travels. After all of this time, plus my other blogsite Synesthesia, additional real world duties and responsibilities and now, with the passing of my Dad three weeks ago, life certainly does look and feel very different than it once did. I wish to assure you that my love for movies and writing remains as powerful as it ever has and I pledge to do my very best in continuing what has begun and to also perform to the best of my abilities to keep Savage Cinema a positive on-line home for you to visit and engage with me. So...again, and as always, THANK YOU, THANK YOU, 1000 TIMES THANK YOU!!! Let's make it to a full decade together!!!! I don't wish to be here without you!!! LEGACY: a review of "Creed II"
This review is dedicated to my Dad, Powhatan Collins, who passed away on December 9, 2018, exactly one week after I saw this film. I hated "Rocky IV" (1985). Actually, I did not simply hate the film, I downright loathed it. Upon the time of the release of "Rocky IV," I was 16 years old. While I was certainly not astute enough at that time to even have begun to fully formulate any sense of a socio-political worldview, I instinctively knew when something just was not right and from my perspective, "Rocky IV" was as wrong as it got. As a film, and as the fourth installment in the on-going story of our favorite boxer from Philadelphia, "Rocky IV" fully jumped the shark, leaving anything remotely grounded in reality far in the dust. Written, directed and starring Sylvester Stallone, Rocky Balboa essentially became a superhero in a ridiculously misguided effort that eschewed everything regarding character development for shamelessly shallow music video editing and sequences that pitted the Italian Stallion against the Russian behemoth Ivan Drago (Dolph Lundgren) as Balboa attempts to avenge the death of former rival/best friend Apollo Creed (Carl Weathers), whom Drago killed in the boxing ring. The film culminates in a climactic battle between Balboa and the synthetically enhanced Drago, with of course, our hero pummeling Drago to the gradually and rapturously cheering of...the Russians?! The dynamic presence of James Brown's "Living In America" notwithstanding, I vividly remember sitting in that crowded movie theater with stomping feet and applause all around me and just seething for I just knew that I had just sat through some brain dead, rah-rah-rah, jingoistic propaganda tailor made for the hungry masses of the mid '80s Cold War occurring between the United States and Russia. It was a feature length Reagan era commercial promoting America's supposed dominance disguised as popcorn entertainment and I wanted nothing to do with this Right Wing fantasy film...especially one that more than conveniently had a dead Black man housed at its core. Now, of course, since that time, the "Rocky" series has done more than its share to return to its roots and return the character to a sense of normalcy by striping him of his wealth and bringing him back to the Philadelphia streets, concluding, such as it was, with the touching, elegiac sixth installment "Rocky Balboa" (2006), again written and directed by Stallone. For me, that film, righted a lot of wrongs about the series while also giving it its much overdue finale. So, imagine my surprise once we arrived with Ryan Coogler's "Creed" (2015), a film that we never, ever needed but one I was ecstatic to behold (and completely against all of my severe skepticism) as Coogler richly re-invented and extended the saga of Rocky, while attaching it to the beautifully moving and uncompromisingly primal story of Adonis Johnson Creed (the outstanding Michael B. Jordan), the son of the late Apollo Creed, produced through a long ago extramarital affair. Adonis' search for his life's meaning and significance via his familial legacy in name and boxing was a soul stirring achievement that made me believe in this series in ways that I had ceased to since "Rocky II" (1979), and truth be told, by that film's end, I was ready for more. With "Creed II," as directed by Steven Caple Jr. taking over for Coogler who was ensconced in his directing duties for this year's "Black Panther," we are delivered a more than worthy second installment that comes just this close to reaching the heights set by "Creed." It is a film that like its predecessor focuses smartly and sharply upon character instead of spectacle, while also delivering the pulse pounding fight sequences that excite as well as enliven all of the character's motivations throughout. And even further, it achieves the near miraculous by taking what was once a cartoon in "Rocky IV" and re-envisioning that experience as one worthy of gripping, mature, and achingly humane pathos. 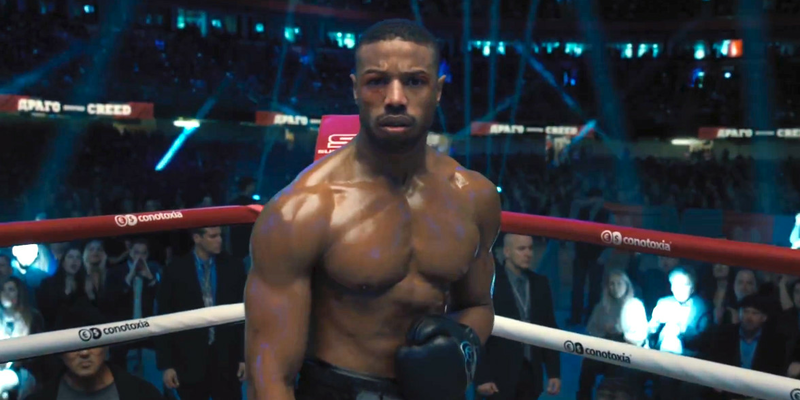 Steven Caple Jr.'s "Creed II" opens three years after the events of "Creed," as Adonis Creed (again played by Michael B. Jordan) becomes the heavyweight champion fighter of the world. Now possessing wealth, fame and the love of his longtime girlfriend, the aspiring singer/musician Bianca Taylor (the great Tessa Thompson), Adonis proposes marriage and Bianca suggests moving to Los Angeles from Philadelphia, a decision Adonis is reluctant to make due to his familial bond with the aging Rocky Balboa (Sylvester Stallone). Meanwhile in Russia, the aging Ivan Drago (again portrayed by Dolph Lundgren), disgraced in his country from his loss to Rocky thirty three years earlier, seeks his chance for redemption via his own son, the boxing behemoth Viktor Drago (Florian Munteanu), by seeking a once-in-a-lifetime challenge against Adonis, a boxing event aided to fruition by the duplicitous boxing promoter Buddy Marcelle (Russell Hornsby). While Adonis itches to take on Viktor as a means to avenge his Father's death by Viktor's Father, Rocky Balboa refuses to train him, causing a rift be tween the two men who have now become surrogate Father and son towards each other. Adding additional stress to Adonis is the continuing decline of Bianca's hearing plus the birth of their daughter Amara, who may be genetically inclined to deafness. And now, with new adversaries to face down, will Adonis Creed rise to the legacy of his name and his Father or will he crumble under the enormity of its weight? Steven Caple Jr.'s "Creed II" more than delivers the good as you would expect from this series that has now surpassed 40 years in its beloved longevity, almost through a sheer force of will and unshakable perseverance...much like the characters who are the engines of this story. Caple Jr. more than picks up the hefty mantle left by Ryan Coogler as he beautifully helms an equally smart, sophisticated, and highly assured episode that honors all that has arrived before while also charting new territories that ensure the film attains newfound emotional depths. First of all, and especially within a cinematic year that has more than showcased a variety of examples of Black Excellence--from Spike Lee's "BlacKKKlansman," Boots Riley's "Sorry To Bother You," George Tillman Jr.'s "The Hate U Give," Ava DuVernay's "A Wrinkle In Time" and of course, the aforementioned "Black Panther" from Ryan Coogler--Caple Jr.'s "Creed II" is an exceedingly welcome addition as we are again given over to the supremely magnetic presence, skill, agility, athleticism and superlative acting chops of Mr. Michael B. Jordan, who commands the screen every single moment in which he appears. To that end, I deeply appreciated that Tessa Thompson returned for this installment, giving me, and audiences, a rare glimpse into Black love, Black relationships and Black families within mainstream films (I especially loved the moment when Adonis and Rocky playfully spar over what to name Adonis' newborn daughter), as Thompson also possesses a magnetic presence making her Johnson's equal, much like the characters they portray. Their union, so complete in struggles tension, peaks and valleys, is more than refreshing to witness. As always, representation is everything and having that opportunity to witness the continuing love and life story of Adonis Creed and Bianca Taylor, lifted me as I was proud to see another visualization of the Black Experience on screen. Additionally, this specific quality not only provides a nice symbiotic link to "Rocky II," as love story of Adonis and Bianca allows "Creed II" to be grounded within the same adult hopes and fears faced by Rocky and Adrian. It assures the film remains with its feet firmly planted upon the Earth as the nuances and challenges of their relationship remain palpable in their inherent drama, as well as keeping the overall humanity of the piece firmly intact. In fact, I would argue that the greatest feat of "Creed II" is how Caple Jr., the entire cast and crew have transformed the cartoon of "Rocky IV" into something with true gravity, pain and sorrow regarding the crippling sense of loss that exists within Adonis for certain but has spread itself around to Rocky, Adonis' stepmother Mary Anne Reed (Phylicia Rashad) and to even Ivan Drago himself. Instead of being utilized as a cheap plot point to promote a political agenda, the death and loss of Apollo Creed has, at long last with this new series, been humanized for all participants involved. In "Creed II," as Rocky painfully tries to dissuade Adonis from taking on Viktor Drago, he espouses the following concerning Ivan Drago: "He's broken things in me that ain't never been fixed." That one line is chilling to say the least and Sylvester Stallone plays it with a beautiful, natural and honest quality that flies against every artificial second of "Rocky IV" by never once suggesting the prefabricated path for revenge or the re-writing of history. This time what we are given is a moment in the life of a legendary character marked with real and tangible unhealed pain and brutal regret. For that matter, the character of Ivan Drago, as portrayed here in "Creed II" is a near miracle as the cartoon villainy is completely excised and what remains in a real man, broken by the defeat of his past and the ensuing humiliation that followed when his nation, friends and even his wife all walked away from him. And through the purity of Dolph Lundgren's brooding yet melancholic performance, I think we are also asked to try and discover the hint of deeply burrowed yet unending guilt stemmed from his murder of Apollo Creed. And from the vantage point of these two now elderly yet irrevocably damaged men, we find how their choices have unleashed consequences that have reverberated through time itself to the children; Viktor Drago, Adonis Creed and even to Rocky's long estranged son, Robert, now living in Vancouver. I feel that here is where Steven Caple's Jr.'s "Creed II" finds its greatest and most stirring success, because at the film's core, we have a film that is entirely about the tenuous, and again, primal relationships held between Fathers and sons. Yes, the central relationship between Adonis and Rocky is designed to evoke a son/Father dynamic with each other but it is also designed to echo the relationships with the Father and son each character has lost. Beyond that, we are dealing with the full nature of legacy on a multi-character scale, as Caple Jr. presents a deeply moving story that concerns itself and often centers itself around the plight of the sons and how they are each attempting to fit into the massive shoes left by their Fathers. Can the son ever indeed live up to the legacy created by the Father? Can the son ever extend beyond the Father's successes and failings? Can the son ever carve out their own legacy that honors, yet is fully independent of the Father? For that matter, Caple Jr. is wisely sympathetic enough to allow strong inner turmoil for both Rocky and even Ivan Drago as both men question the choices they have made that have now affected their relationships with their own children. Is Ivan forcing Viktor into a life of boxing solely to support his son's true desires or to assuage his own pain? Is Rocky making the same mistakes with Adonis that he has made with Robert, therefore risking losing another child who means the world to him? "Creed II" could have easily existed as a rather cheap, money grab sequel exploiting the popularity of "Rocky IV." Yet, gratefully, graciously and often grandly, Steven Caple Jr. finds ways to make sure his film is more than about what occurs in the boxing ring. That "Creed II" achieves precisely what was achieved in the original, Oscar winning "Rocky" (1976), the very film that made us fall in love with the character in the first place. 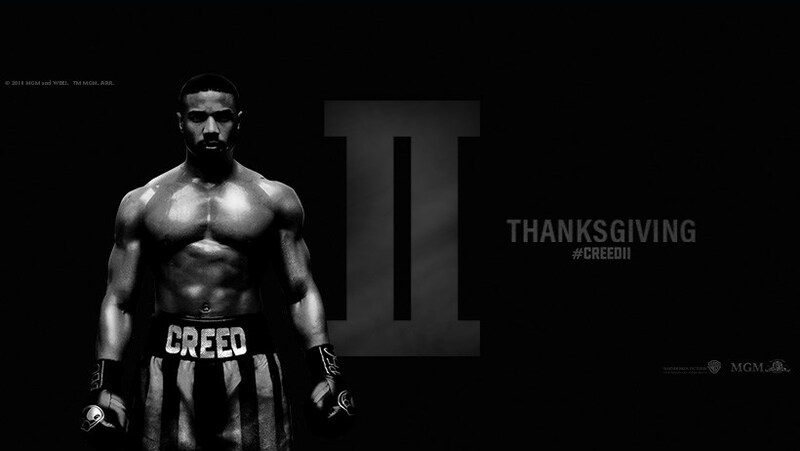 With everything being said, "Creed II" falls a hair short of its predecessor solely due to the fact that aspects of the story arc make the proceedings more than a bit predictable as the training sequences and fights, while well staged and presented, do indeed follow the classic "Rocky" structure of failings and comebacks, thus reducing some of the overall tension and accomplishment. But that is essentially a somewhat minor quibble as the depth and grace of what Steven Caple Jr. has presented is what has resonated with me so powerfully. The constant themes of perseverance, integrity, and forcing oneself to rise to the best of themselves even when feeling battered, bruised and completely down for the count still resonate powerfully and remain as relevant and as present in 2018 as they did in 1976. In fact, Steven Caple Jr.'s "Creed II" is so good that it almost makes me want to forgive "Rocky IV," because we woud not even have this new film without having had that older film...regardless of what I thought about it. MAJESTIC MADNESS: a review of "The Favourite"
This is emphatically NOT your parents' historical costume drama. Director Yorgos Lanthimos first arrived upon my cinematic radar most brazenly with his surrealistic nightmare entitled "The Lobster" (2015), easily one of the very best films that I have seen in the past 10 years. It was a visionary achievement quite unlike any I had seen and confirmed that he would remain a filmmaker to watch closely in whatever he devised as a follow-up. "The Killing Of A Sacred Deer" (2017), while a hair muted inits impact when compared with the gut punch of "The Lobster," again provided me with that idiosyncratic dark mirror cinematic vision, where a world that looks like our own inexplicably functions within some bizarre nightmare logic that always feels as if the sky is precariously close to detaching itself from the heavens only to fall and crush us all. With his latest feature, "The Favourite," Lanthimos dials down the surrealism somewhat without diluting the film's raw, unapologetic power. In fact, it feels to be a much angrier film than its two predecessors, yet simultaneously playful in its fury, as we are thrown into a battle of wills between three female forces of nature, all brilliantly portrayed by three powerhouse actresses, each performing at the top of their respective games. Garish, ravenous and utterly ruthless, Yorgos Lanthimos' "The Favourite" not only completely upends the classic costume historical drama, it fully obliterates it, ultimately creating a work that maniacally feels more honest than any stuffy, repressed feature we have witnessed before. 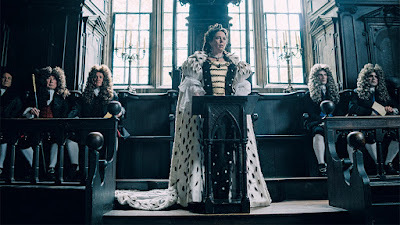 Set in 1708, as Britain is at war with France, "The Favourite" stars Olivia Coleman as Queen Anne, an imposing royal figure rapidly succumbing to madness due to a chronic illness with gout as well as unimaginable grief due to 17 children she has lost over the years and whom are now all represented by 17 pet rabbits named for each of her deceased offspring. With a waning interest in governing and wildly increased eccentricities, including racing ducks in the palace, Queen Anne's fractured reign is truly being overseen by Sarah Churchill, the Duchess of Marlborough (Rachel Weisz)--the Queen's primary confidant, adviser and clandestine lover. Yet, Sarah's success at complete control over the Queen are consistently thwarted by Robert Harley, 1st Earl of Oxford and Earl Mortimer (Nicholas Hoult), a member of Parliament as well as a landowner. Emma Stone enters the film as Abigail Hill, who happens to be Sarah Churchill's destitute cousin, and is in search of employment. While first hired as a maid and subjected to all manner of menial tasks, Abigail soon learns of the Queen's affair with Sarah and devises of ways to ingratiate herself into the Queen's favor, ultimately threatening to usurp Sarah's prized status. What results is an escalating war in the personal balance of power between all three women within a story during which victory is forever fleeting, the spoils are bracingly elusive and the relentless pursuit of both grows tirelessly rancorous. Exceedingly profane, rapacious, wrathful, crude, vulgar, gluttonous, lusty, downright nasty and filled with all manner of verbal profanities from end to end, Yorgos Lanthimos' "The Favourite" is an unrepentantly bleak comedy that not only bares its fangs viciously, it plunges its venomous bite continuously. I have to admit that I have often had difficulty attempting to find my way into the cinematic worlds of costume period dramas. Of course, there have been some that I have loved, Milos Forman's "Amadeus" (1984) existing as one of the finest I have ever been graced to witness. But generally, the ornate quality of those sorts of films, while visually dazzling, like Martin Scorsese's "The Age Of Innocence" (1993) for instance, I am often held at an emotional arms length, making me feel somewhat as repressed as the characters themselves. By astonishing contrast, Yorgos Lanthimos blasts apart any conventional sense or trappings of this particular cinematic sub genre, making "The Favourite" the first film of this sort that I have seen since Sofia Coppola's gorgeously unorthodox "Marie Antoinette" (2006) to play with the form... and ferociously so. In fact, Lanthimos's approach feels more akin to some enfant terrible wreaking havoc upon the most pristine snow globe by shaking it so violently that it threatens to fall apart, spilling its contents upon the floor underneath. Yorgos Lanthimos' "The Favourite" gleefully thrusts the faces of his characters, as well as those of us in the audience, into the visual and emotional filth of things, making the proceedings refreshingly visceral, giving us what a film like Paul Thomas Anderson's visually resplendent yet emotionally cerebral "Phantom Thread" (2017) only hinted at. Working in astounding collaboration with Cinematographer Robbie Ryan, Lanthimos creates a pristine yet hallucinogenic landscape filled with all manner of fish eye lenses and upward camera angles designed to make the characters loom monstrously. And with that, Lanthimos then thematically and literally pulls the bottom out from his central trio of characters tirelessly, as all three are repeatedly thrown to the palace floors, dropped in mud, and splashed and splattered with water, sweat, spit, vomit and pigeon blood, fully desecrating any conceived sense of royalty. Lanthimos captures the rightful grime and filth as seen in Terry Jones' "Monty Python and the Holy Grail" (1975) and peppers it in an experience that could be seen as a combination of Joseph L. Mankiewicz's "All About Eve" (1950) by way of Stanley Kubrick, Ken Russell and Terry Gilliam. Yes, "The Favourite" is that kind of a film. Even so, it is easily Lantimos' most accessible film since "The Lobster," and for that matter, it is even more accessible as some of his aesthetics (the bone dry line readings, the Kurbrick-ian clinical cinematography) are toned down and therefore replaced with a more energetic, naturalized style. And still, this film feels to be very much of a piece with "The Killing Of A Sacred Deer," as we are witness to the searing battle between the failures of the flesh and the iron will of the mind, and even moreso with "The Lobster," as that film is continuing to reveal itself as existing as a work so insidious that it has now made its indelible stamp upon each of his subsequent features. Within "The Lobster," we were given an unrepentantly frightening experience housed as a social satire regarding the nature of dating, relationships and societal pressures against being single, where in the dystopian land of this film, people who are unable to find a mate within a 30 day period will be therefore transformed into animals. This conceit led to a feature where Lanthimos was able to explore the juxtaposition of humans and animals, allowing us to almost magically view the human inside of the animal and vice versa. This theme continues strongly within "The Favourite" as a metaphor when thinking about Queen Anne's 17 rabbits, all named after her deceased children, and more emphatically within the film's final moments, a shattering climax (of which I, of course, would never spoil for you) albeit one that has already confounded audiences. Yet, for me, it felt to be the most perfect conclusion, as the themes of power, control, servitude and that aforementioned human/animal juxtaposition becomes even clearer, especially when dealing with the sub-human behaviors of the so-called higher species. Astoundingly merciless in its depiction as well as its warning, as I think "The Favourite" can also be viewed as a social/political allegory to our current inhumane political culture. Awards season is going to have a rapturously difficult time attempting to determine which leading female performances should receive celebratory notices as "The Favourite" contains three which could easily be up for recognition simultaneously. Both Rachel Weisz and Emma Stone have clearly relished the opportunities to break free from their respective comfort zones (especially Stone, whom I adore but have been feeling that she has been creatively holding back for quite some time) and unlock a previously unseen level of cunning and rage while also exhibiting rich behavioral layers which allows us to not only understand them and their actions, but to miraculously obtain sympathy. Olivia Coleman is simply spectacular as Queen Anne, as she delivered a bravura performance utterly devoid of any stitch of vanity, as she fearlessly allows us to witness the height of royalty appear so loathsome, so infantile, so unattractive and all the while, again, we understand, and quite possibly sympathize with her the most. In the character of Queen Anne, Coleman delivers a truly harrowing portrayal of physical and undeniably debilitating mental illness, which illustrates her unraveling regarding her governing duties as well as the relationships she has cultivated with both Sarah and Abigail yet inexplicably remains razor sharp when it comes to maintaining power. This is a tightrope walk of a performance, where Coleman has to present essentially all sides of the Queen's fractured psyche plus her physical ailments constantly, and without fail as one false move would compromise the full impact. Just a remarkable and devastating work. While there are quite a number of films that I either have not seen or have yet to see, I am amazed at the level of greatness already screened in this cinematic year of 2018. Yorgos Lanthimos' "The Favourite," so feral and filled with fury, is easily yet another one of this year's highest achievements. Dear readers, as you may have noticed, Savage Cinema has been on an unexpected hiatus for almost one month now and I am here to give you an explanation as well as future hopes and plans. My productivity over the last couple of months has indeed become considerably slower than in months and even years past and I have made somewhat veiled references to "life getting in the way," so to speak. I wish for you to understand that Savage Cinema means everything in the world to me as it is indeed an extension of my being as my love of movies is part of my DNA, and now, writing about the movies has claimed an equal status. The feedback I have received has always served as the finest fuel and continued inspiration to continue writing and sharing with you. Having any sense of a hiatus is something I take extremely seriously and even moreso, it was an unplanned time and due to something even more important than the movies and writing and my love of both. This period was entirely about my family, most specifically my Dad. Over the entirely of Savage Cinema's existence, my Dad has been in declining health and since October of this year, very close to Halloween, I have spent considerable time travelling between Madison, WI and Chicago, IL. visiting and living with my Dad in the hospital. Thanksgiving of this year was spent directly by his side in his ICU room. I rode an ambulance with him to hospice care in early December and on the morning of December 9th at 9:40 a.m., my Dad passed away, transitioning into eternity. Visitations, the funeral and burial followed quickly afterwards and the rapid return to life and its daily responsibilities plus Christmas have followed suit as well. I have been running on adrenaline, attempting to regain some bearing and now with grief riveted by my side...well...I am hoping that you can understand. So, what of Savage Cinema? It will remain and I am indeed gearing up to return to the review I never had the chance to begin and in many ways, it feels like the perfect review to get my feet wet at this again. I am also planning a return to the movie theater this weekend and we'll see where this goes from this point. Yes, there is this part of me that wonders if writing about movies is worth anything anymore but I do think that my Dad would be saddened if he were to know that I gave up something I loved because my heart was broken. He would not wish for me to give up on something that helps to make my life complete just because his life ended. I have to keep one foot in front of the other, so to speak. I love you, Dad. I'll keep writing. I'll keep trying. TAMED QUEEN: a review of "Bohemian Rhapsody"
Frankly, and yes, I do have to say it...the 1998 VH-1 Behind The Music documentary special was more effective. Dear readers, for those of you who know me in the real world, then you know. For those of you who do not, you will soon find out. But let me now state upon this site that ever since my childhood, as I was growing up in the 1970's, the music of Queen has been a beloved constant in my life from, I would imagine, that very first listen of "Killer Queen" (released October 21, 1974) on Chicago's WLS AM. The musical wonderland as created by the collective of John Deacon, Brian May, Roger Taylor and of course, the iconic, immortal Freddie Mercury was a universe unlike any other to bask oneself within and for me, I practically drowned inside of it. Every song that hit the radio airwaves, I latched onto powerfully. The experience of hearing the song "Bohemian Rhapsody" (released October 31, 1975) for instance, was as Earth shifting every single time it was heard just as much as the aural vortex of sound upon the daily schoolbus was utterly silenced every single time "Another One Bites The Dust" (released 1980) appeared on the driver's small transistor radio. I remember being especially obsessed with the band's "News Of The World" (released October 28, 1977) album as it was a record I checked out of the school library constantly, essentially memorizing every single note of the work as I loved it so completely. I remember wanting to see Director Mike Hodges' re-make of "Flash Gordon" (1980) solely because Queen had scored the film--for that matter, the band's music was also the only draw for me to see Director Russell Mulcahy's "Highlander" (1986). Album after album, song after song, and most certainly, within the band's peerless performance during 1985's Live Aid philanthropic concert event, Queen was a band that seemed to re-define the concept of originality over and again. Their musical aesthetic was uncompromising in its sheer breadth, inventiveness, superlative musicality and recording production as they bridged the gaps between hard rock, prog rock, R&B, soul, crystalline ballads, funk, pop, heavy metal, classical, vaudevillian, jazz, blues and of course, the operatic with an idiosyncratic style that afforded them the rare ability of sounding like no other band other than themselves and somehow being embraced by the world in the process, as Queen means so many different things to generations of listeners from all walks of life. This was a band that constantly broke barriers and Freddie Mercury, the consummate performer, the sky scorching vocalist, was a risk taker and then some. So, it was a shame to witness just how pedestrian and superficial an experience the new musical rock biopic "Bohemian Rhapsody," as credited to Director Bryan Singer actually was. It is by no means a bad film, so to speak. There are quite a number of sequences in this handsome production, that are considerably thrilling and as Freddie Mercury, a deeply committed Rami Malek certainly works like the devil to honor and almost resurrect this artistic figure, the likes of whom we will never see again. And still, the whole proceedings felt so tame, so toothless and filled with discrepancies that, for me, as a fan of the band and cinematic storytelling itself, I felt to be unforgivable. For a film that dares to bear the name of one of the most jaw dropping and creative rock singles ever made as its title, "Bohemian Rhapsody" was ultimately more than a little banal. Queen, and especially Freddie Mercury deserved exceedingly better than what was delivered. 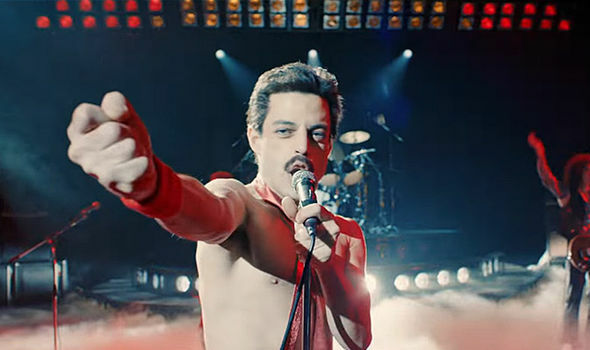 With a "cradle-to-grave" structure book-ended by the band's appearance at Live Aid, "Bohemian Rhapsody" traces the story of Freddie Mercury (Rami Malek), beginning in 1970 when he was the Indian-British Parsi college student and Heathrow baggage worker under his real name Farrokh Bulsara and fan of the local college band Smile, which housed both guitarist/vocalist Brian May (Gwilym Lee) and drummer/vocalist Roger Taylor (Ben Hardy). When Smile's lead vocalist abruptly quits to join another band, Farrokh quickly convinces May and Taylor to allow him to join the band as lead singer. 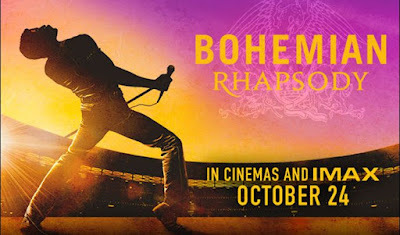 With bassist John Deacon (Joseph Mazzello) joining soon afterwards, and Farrokh legally changing his name to Freddie Mercury, the band, now re-christened Queen, begin their meteoric rise to stardom. .
From here, "Bohemian Rhapsody" chronicles the odyssey of Freddie Mercury, to global fame and fortune to increased internal isolation, from artistic independence to alienation from his bandmates via the duplicitous personal manager Paul Prenter (Allen Leech), from his marriage to Mary Austin (Lucy Boynton) to his gradual self-realization as being a homosexual, from rampant promiscuity to finding love with Jim Hutton (Aaron McCusker) and his ultimate contraction of the AIDS virus, which led to his death in 1991. For what it is worth, "Bohemian Rhapsody" is unquestionably a glorious looking production, beautifully photographed by Cinematographer Newtom Thomas Sigel, and is certainly impeccably well cast (Gwilym Lee as Brian May especially provided me with some serious double takes and a completely unrecognizable Mike Myers is absolutely terrific as the EMI record executive who refused to release "Bohemian Rhapsody" as a single due to its six minute length) and is unquestionably fueled by one of the most dynamic set of songs that feel designed to be heard blasting in your movie theaters. Sequences of the band recording and most certainly, the film's climactic re-staging of the Live Aid concert performance are absolutely thrilling and deeply effective. And yet, everything was sort of ho-hum to me...at best! "Bohemian Rhapsody" the film and completely unlike the song itself, was a cinematic experience that felt so restrain ed to the point of being nearly inert. There was simply no momentum to the film, no ascension and in many ways, no real sense of direction or even a perspective. Now, before the film's release, there was question of how sanitized an experience "Bohemian Rhapsody" would be regarding Freddie Mercury's private life, some fearing the film would be "straight-washed," removing any sense of Mercury's homosexuality. To that, and I guess for a film rated PG 13, the film does not shy away from this aspect of Mercury's life by any means. But I guess, the problem I had was that it never seemed to go beyond the surface of these experiences terribly much, whether by design or disinterest from the filmmakers to ensure that "Bohemian Rhapsody would remain a film that would speak to the masses with the least amount of controversial material. To that end, here is where I felt that so much of "Bohemian Rhapsody" was a missed opportunity. This is Queen and Freddie Mercury we are dealing with. Figures that defied all of the rules regarding rock music, entertainment, and even the ways in how to live one's life...and to even face death as well. In my mind, a film about Queen would be one to follow suit creatively. One that was decidedly R rated, of course. But artistically some thing more akin to what Writer/Director Todd Haynes achieved with both "Velvet Goldmine" (1998), which took on nothing less than the thinly veiled legacy of David Bowie and the entire glam rock movement, and his truly forward thinking "I'm Not There" (2007), his furiously innovative pastiche of Bob Dylan, which starred no less than seven actors portraying variations of the Dylan persona. Or even further, perhaps a film like Director Don Cheadle's difficult, impressionistic and criminally underseen "Miles Ahead" (2015), a fully unorthodox look into the psychological world of Miles Davis or even better, Director Bill Pohlad's achingly stunning "Love And Mercy" (2014), which starred both John Cusack and Paul Dano as Brian Wilson at two distinct phases of his life. In all of those films, challenging as they each are to varying degrees, each filmmaker possessed a specific point of view of their subject matter that allowed audiences to engage with these musical figures in exciting and invigorating new ways that made us re-think what we already may or may not have known about them and the music they created. By contrast, "Bohemian Rhapsody" never really offers us any such insights and as riveting as Rami Malek is in the film, his Freddie Mercury never felt to be as immersive as it could have been because the actual screenplay and direction itself didn't really give Malek any conceivable depth to delve into. To some degrees, a more traditional approach or a potential crowd pleaser, in and of itself, is not a bad thing. Take films like Oliver Stone's "The Doors" (1991) or Taylor Hackford's "Ray" (2004), both of which follow more conventional narrative structures and possess two outstanding leading performances from Val Kilmer as Jim Morrison and Jamie Foxx as Ray Charles, that feverishly burrowed under the skin to the point where you need to blink twice to see if you are regarding the actors or documentary footage. And again, both Stone and Hackford as filmmakers supplied their own perspective about their subjects, therefore giving us in the audience something to cling to, to argue about, to embrace and to ruminate over. As Freddie Mercury, Rami Malek is often sensational but to a point, the point where it is probably the best Mercury impersonation you will ever witness but it does not necessarily mean that we were given a great performance. Again, Malek was more than committed to the task at hand but it was at the service of a film that didn't seem to have an opinion about Mercury or Queen other than we all loved them...and in some ways, that is not enough to hang onto a full movie. There is so much material about Freddie Mercury the film could have covered but seemed disinterested in doing so. For instance, did Mercury's heritage hold any impetus in him wanting to be an artist? What of his sexuality as it related to his artistry--especially as this is about a band of four men calling themselves "Queen"? What of the controversial "I Want To Break Free" music video (lovingly re-created in the film) and the rampant homophobia within the rock industry that essentially stalled their success in America? None of that is here whatsoever. And what of the full breadth of Queen's music? Aside from the hits, we hear nothing of anything else they created. Yes, I know that this film is decidedly not a documentary but "Bohemian Rhapsody" felt less like a full cinematic experience and more like a series of highlights and moments strung together with Queen songs as the glue. It all felt to be like a filmed checklist with each sequence being one more thing to cross off the list, and all with no sense of narrative flow. I am curious if the behind-the-scenes drama of "Bohemian Rhapsody" had anything to do with this level of disconnect as Bryan Singer was fired from the project mid-filming due to excessive, erratic behavior, leaving Dexter Fletcher to enter and finish the film (due to Directors Guild Of America rules, Singer has retained full directorial credit while Fletcher receives an Executive Producer credit). With that in consideration, it is a miracle "Bohemian Rhapsody" turned out as well as it has but even so, the lack of substantive material felt glaring. Even moreso, were all of the striking inaccuracies, completely inexcusable considering how easy it is to gather all of the true information regarding Queen. and surprisingly so as both Brian May and Roger Taylor were consultants on the film (John Deacon has fully retired from the music business although he reportedly gave his blessings to this film). Now, I am no Queen scholar by any means, and yes, there is always a sense of artistic license with films of this sort. But even with the little that I do know, I was stunned to find this level of fault in a film where this should not have been the case whatsoever. For instance, we often witness bassist John Deacon contributing vocals to the trademark stacked harmonies of Queen but Deacon, in reality, never sang on any Queen recordings. We have a sequence set in 1980, finding the band writing and recording "We Will Rock You"...a song the band released, in actuality, three years earlier. The ways the band members of Queen first met as well as Freddie's first meeting with Mary did not occur in reality as depicted in the film. The band never even broke up, as implied late in the film, therefore not making their performance at Live Aid a reunion (when in fact, their Live Aid performance arrived after they completed a year long tour, meaning the band was in prime fighting form by the time of Live Aid). And most strikingly, Freddie Mercury was not diagnosed with the AIDS virus until two years after Live Aid, not before, as the film implies being the catalyst to even undertake that performance. Again, I know, I know, this is not a documentary. But I just did not appreciate all of the re-structuring, embellishments and seemingly intentional errors placed within a story that already contains more then enough inherent drama, pathos, excitement, humor and peaks and valleys of lives being lived in a tremendously bright spotlight. To me, there was no need to create drama and have fallacies in a film like this one, where the truth is indeed more than we could ever need to have. In doing so, it just rubbed me the wrong way and therefore did a disservice to Freddie Mercury's memory and Queen's legacy, as they were fearless artistically and honestly. "Bohemian Rhapsody," on the other hand, hedged its bets too often, resulting in a movie that could attain a mass appeal yet one perhaps rooted in a certain nostalgia rather than via cinematic appreciation or innovation. But hey, I am just one person and in regards to the audience response to the film, I just may be in the minority as it is indeed a hit. Even so, I do think there is a better film about Queen and Freddie Mercury yet to be made. One that is more courageous, audacious, bodacious, ridiculous, fantastic and definitive than what was presented throughout in "Bohemian Rhapsody." STARR POWER: a review of "The Hate U Give"
"The most dangerous place for Black people to live in is White people's imagination...We live in an America right now where we have evolved... but we inherently believe that Black people are criminal." Dear readers, I express the following words to you without hyperbole or melodrama and with the fullness of honesty as I am able to muster at this point in time: I have never been more frightened for my safety as a Back man as I am right now in 2018. No. I am so fearful as to make myself some sort of shut-in. I go about my business every day as I am accustomed to doing. I go to work. I frequent my regular haunts. I see friends. I still look forward to upcoming public events. But even so, when I see police cars, I begin to shudder. Sometimes, as I am going about my business, I do wonder more often than ever if there will come a time when some random White person who inexplicably feels "threatened," solely due to my presence as a Black man will try to eradicate the "monster" by pulling out their conceal and carry ready pistol and shoot me...even as I pull into the driveway of my own home. The racial disparity and vitriolic turbulence towards African Americans over these past 10 years has been so rapid and and unrepentantly overt in ways that I don't really believe that I ever really imagined them to being in the 21st century. Yes, I know my history. No, I am not naive to the ways of racists and racism in the United States of America but that being said, I am shocked to the point of being almost numbed by all that has occurred during this past decade. Of course, the undercurrent of racist resentment during Barack Obama's Presidency was expected. Yet, the increasing wave of coded dog whistle language from the collective mouths of our Republican public servants deeply unnerved me, as it was fully designed to perpetrate all that occurred concurrently and afterwards towards Black people in this country. Every time. Every single time a new installment of our continuing African-American tragedy unfolds, I am left beside myself wondering just how and why this obscene, inhumane level of hatred and fear continues and as of this point in time, only continues to escalate... and furthermore, why the outcry against such intolerance is not louder and larger. Look at where we are now. In addition to all of the murders, we are now witnessing numerous 911 calls by Whites in regards to Black people having a bar-be-que, to napping, to golfing, to attempting to enter one's own apartment, to being attacked via shotgun for simply asking directions, to the preposterous cry of sexual harassment by a 9 year old, which in an of itself elicited terrifying echoes of Emmett Till, whose own lynching and murder in 1955 was based entirely in a lie by his accuser. Again I ask, why is the outcry not louder and larger? It makes me sometimes feel and fear that this continuing tragedy is being viewed as tragedy only by Black people. That no one outside of my race can or will ever begin to view me and people like me as human beings like themselves and only as the imaginary creatures that fuel their fears and violent retribution. My level of paranoia has been dramatically raised as the lack of understanding, empathy and humanity has only made my spirit descend, all of which threatening to derail my pride and resistance. 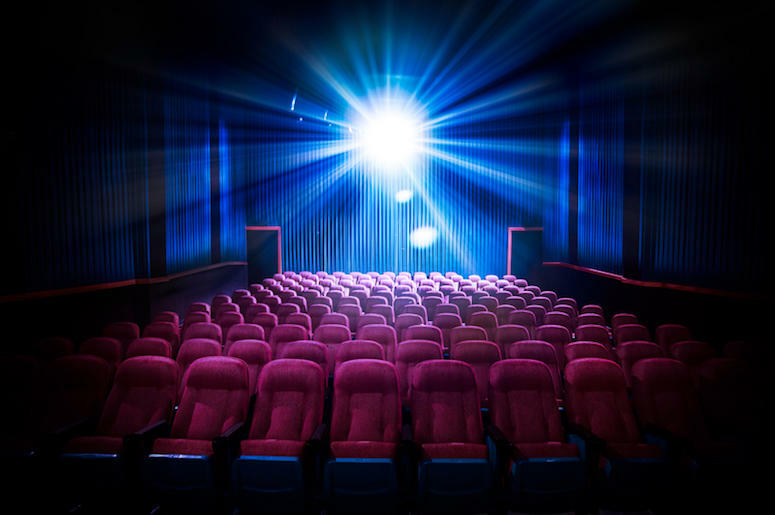 In a cinematic year that has already displayed considerable excellence, especially within films that have explored variations of the Black experience within a variety of genres, including Ryan Coogler's "Black Panther," Boots Riley's "Sorry To Bother You," and Spike Lee's "BlacKKKlansman," George Tillman Jr.'s "The Hate U Give" is undeniably an exceptional piece of work and art. In addition to existing as a letter perfect adaptation of Angie Thomas' wonderfully stirring and sobering young adult novel, Tillman Jr. has delivered a cinematic standout in its own right, as it deftly explores and investigates, with clear astuteness and brutally complex yet fully empathetic honesty, the realities of racial code switching, police brutality, racial profiling, the urgent necessity of the survival of Black communities and Black families, the legacy and continuation of Black activism and even more provocative material. Miraculously, and especially for modern day mainstream cinema, it was a triumph to witness all of this material through the lens of a fully three dimensional 16 year old female Black leading character who is placed firmly at the film's center stage and is indeed the very protagonist that we would follow absolutely anywhere. With a poignancy and potency that belongs within the same rarefied class as Ryan Coogler's "Fruitvale Station" (2013) and even Spike Lee's peerless "Do The Right Thing" (1989), George Tillman Jr.'s "The Hate U Give" is excellent filmmaking designed for essential viewing. As with the original novel, George Tillman Jr.'s "The Hate U Give" centers around the life of 16 year old Starr Carter (a sensational Amandla Stenberg), who lives within the fictional working class, predominantly Black community of Garden Heights with her Mother, Lisa (Regina Hall), a nurse, her younger brother Sekani (TJ Wright), her older half-brother Seven (Lamar Johnson) and her formidable Father Maverick (an outstanding Russell Hornsby), former King Lords gang member and ex-con who now owns and operates the local grocery store. Fearing for the safety of their children in an environment where gangs, drugs and crime are rampant, Starr and her siblings attend a wealthy, predominantly White prep school named Williamson Prep. Although she is a member of the school girls basketball team, has two best friends in Maya (Megan Lawless) and Hailey (Sabrina Carpenter) and a serious boyfriend in Chris (KJ Apa), who is White, Starr purposefully keeps her life in Garden Heights silent while at school--from her manner of speech and culture to expressions of her temperament--thus referring to her Williamson Prep persona as "Starr Version 2." In turn, she also keeps the entirety of her school life silent back home at Garden Heights, especially her relationship with Chris from Maverick's knowledge. Both of Starr's worlds begin to converge and ultimately collide on the fateful night at a Garden Heights house party where she is reunited with her childhood best friend and true first love Khalil (a wonderfully charismatic Algee Smith). After a shooting occurs at the party, Khalil begins to drive Starr back home, only to be stopped for an inspection by a White police officer. Despite Starr's protests and warnings, Khalil remains cocky, even while standing outside of his own car, hands upon the hood. When Khalil playfully reaches into the car and emerges with only a hairbrush, he is shot and killed by the officer in full view of Starr. In the fallout of Khalil's murder of which Starr was the sole witness, a fact she also keeps secret from her friends at school as well as within her own community as to not raise the wrath of the local drug dealer King (Anthony Mackie), for whom Khalil was employed, Starr Carter begins her personal evolution regarding her relationships with racial injustice, community and political activism, as well as a growing sense of racial pride, self-respect and the rise of her voice for the truth. George Tillman Jr.'s "The Hate U Give" is an absolutely superb presentation with seamless performances from the entire cast, and for my money, the two leading performances from both Amandla Stenberg and Russell Hornsby fully deserve serious attention during awards season...and for that matter, so does the entire film itself. While for some viewers, the film may wrap itself up too tidily, and to that I can understand that criticism to a degree. But to that, I do offer this as an explanation: "The Hate U Give" is indeed a film designed for a young adult audience based from source material designed for teenagers. That being said, the film does indeed give viewers, from teenagers upwards, an exceeding amount of difficult, provocative material, themes and concepts to unpack, ruminate over, discuss and debate as Tillman Jr. offers no easy answers...and realistically, how could he? Yet, what Tillman Jr. has accomplished with his clear, clean, measured, patient direction is akin to what Spike Lee has achieved throughout his career. The examination of difficult, controversial topics presented with a perspective of profound fair-mindedness and through the unapologetic lens of African-American eyes. As with Angie Thomas' source material, the character of Starr Carter in the film version of "The Hate U Give" is blessedly multi-layered, with qualities, attributes, foibles, faults and an inner journey that is simultaneously individualistic as it is also universal. For me, I completely related to Starr as I grew up within a middle class Black neighborhood with two formidable parents, both of whom employed within the Chicago public school system, yet I was sent to a predominantly White, private, college preparatory high school located in Chicago's beautiful Hyde Park and tucked comfortably upon the campus of the University Of Chicago for reasons both educational and also to keep me safe as they each worked long hours. Most importantly, like Starr, I possessed no real knowledge of what the concept of "code switching" actually was but I did have a fiercely instinctual understanding as it was a means of just...well...living day to day as I traveled back and forth from one environment (Black) into another (White) every single day. Being questioned of perceived "Whiteness" due to where I attended school, to the manner of my diction, to studying habits, to personal likes and dislikes and so on with my Black peers in my neighborhood eventually led me to feeling isolated around my own race. While at school, I know now (and despite my comfort) that I attempted to hide my "Blackness" in order to fully assimilate with my friends and environment. With "The Hate U Give," Starr Carter is a Black teenager who is a sneaker aficionado, an athlete and Harry Potter devotee (an extremely poignant touch that builds in power along the course of the film) coming to terms with the two versions of herself as she gradually evolves both sides into a unified whole. We meet her as she denies existing as her complete self in both environments through hiding aspects of herself from both her friends and Maverick. At school, emotions are buried so as to not fall into or confirm prevalent racial stereotypes of Black people and Black females in particular while at home, her friends and especially her boyfriend Chris are never mentioned, especially to her Father. I appreciated how throughout the film, Tillman Jr. takes those aspects of Blackness and Whiteness and forces the characters as well as all of us in the audience to have our own perceptions challenged to a variety of provocative degrees. With regards to Starr and her prep school friends, regard how Starr's emergent embracing of her own Blackness, including the history of violence against Blacks which she explores in the social media open forum of her Tumblr, account affects her relationship with Hailey who reacts with micro-aggressions of increasing resentment. Even further is her relationship with Chris, who at one point expresses to Starr that he doesn't "see color." We are able to take that statement from Chris' perspective, which is indeed an honest, open-hearted, sincere expression of racial solidarity and love. Yet, to Starr, she rightfully educates that a statement like that is in actuality insulting because if he is unable to "see" her Blackness, then he will never see her for who she is completely. And so, we are left with a teenage interracial couple forced to make some hard decisions as to how serious they are towards each other as race and class are indeed two barriers they each need to seriously question crossing. Will Chris forsake the comfort and security of his Whiteness to embrace Starr in full and will Starr allow herself to trust that Chris truly loves her and will remain by her side regardless of their respective home environments and now the firestorm surrounding Khalil's murder and her rising sense of activism? Racial, and again class, perceptions and stereotypes about poor Black neighborhoods are challenged provocatively and with a patient yet purposeful even handedness that explores a variety of angles, forcing characters and audience to think and/or re-think our own prejudices. One of the most striking sequences within this film is a brilliantly conceived, written, acted and directed sequence between Maverick and Starr during which they discuss not only how Khalil could be a drug dealer but WHY, making for a moment where we can see how the noblest intentions could be behind actions one can perceive to be irredeemable. Another especially powerful sequence occurs later in the film between Starr and her Uncle Carlos (well played by Common), a police officer. As Starr continues to wonder just why the White officer would just shoot and murder the unarmed Khalil, Tillman Jr. allows the character of Carlos to engage us with the police officer's viewpoint about the hows and whys an officer could just shoot someone unarmed. And then, Tillman Jr. gives the floor back to Starr, which then allows the conversation to receive a profoundly sharp pivot into race, for what a White officer would and could do to a young Black male is decidedly not the same if the police officer were Black and the suspect was a White male in a suit driving a Mercedes. In that situation, would that officer shoot first or say "Hands up!" --a question that drives the film deeply into the heart of the story, which is indeed about the value of life placed on Whites and Blacks and which ones happen to possess more of that value. 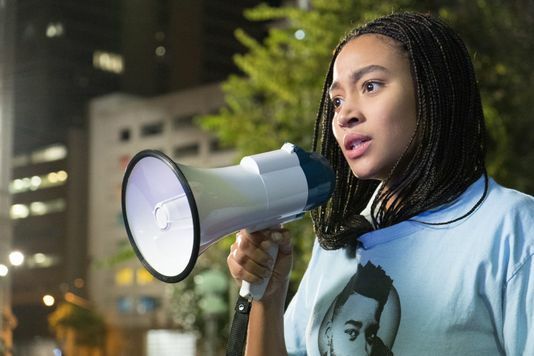 The convictions of "The Hate U Give" easily and obviously sides with the Black Lives Matter movement and the realities of police brutality towards African Americans, especially as depicted in Tillman Jr.'s brilliant choice to open the film with a shattering sequence where Maverick teaches his children about what to do and how to behave when--not "if"-the police accost them is brutally matter-of fact. But, in addition to the lives of Black people, Tillman Jr. has also created an impassioned plea for what could be called the Black Neighborhoods Matter movement, for without the Black neighborhood, even ones in economic dilapidation, what would it mean for the people should they vanish altogether? With Starr's parents, Lisa and Maverick, Tillman Jr. invites us into two sides of an argument in which both sides are correct. Lisa solely wishes for her children to be safe and to have educational possibilities and opportunities they would not receive in their own neighborhood especially as their inner city school is precisely the very type that exists as a pipeline to the prison system. Yet for Maverick, who wishes for precisely the same as Lisa for their children, just as important to him and what he wishes to impart to his family is the importance of the continued existence of the Black community regardless of economics, as evidenced through the presence of his grocery store and the other Black businesses that exist alongside his. For Maverick, if the Carter family uproots and abandons their community as others before them, not only would they be turning their collective backs upon their own, they would be actively contributing to the death of their own community. Utterly formidable questions with not one easy answer. I have to take this time to make special mention of Maverick Carter, whose superlative presence is yet another factor in this film that forces us to re-think any possible harbored prejudices, this time the presence of the Black Father. And for that matter, the relationship between Maverick and Starr is yet another high quality depiction of the cinematic rarity that is the Father/daughter relationship and within a year that has showcased several, including Writer/Director Bo Burnham's "Eighth Grade" and Director Brett Haley's "Hearts Beat Loud." As I have expressed many times upon this site in recent years, representation is everything and to have the opportunity to see a character as powerful as Maverick, and so enormously well portrayed by Russell Hornsby, was truly an exceptional gift, so notable considering the perception that Black Fathers are people that are perceived to be perpetually absent within Black communities nationwide. For that matter, having a film in which a young Black female is not only front and center but the engine to the entire film is a near miracle. And in actuality, having Starr in the company of the young Black women who propelled the aforementioned "Hearts Beat Loud" as well as Director Ava DuVernay's "A Wrinkle In Time," all in the same cinematic year is a downright revelation and Amandla Stenberg's compelling, complete, compulsively engaging performance is equal to every single aspect, conflict, nuance and moment of this wonderful character and evolution that Author Angie Thomas created. The greatest wish that I could have for George Tillman Jr.'s "The Hate U Give" is that for everyone who chooses to see this film, they are able to embrace the sheer overwhelming empathy of the work, a level of humanity that makes this film imperative viewing in my mind, especially now as Black people continue to be viewed in the most inhumane extremes. As described in the novel and throughout the film, the title of "The Hate U Give" arrives from a devastating lyric and "THUG LIFE" concept as written by the late Tupac Shakur, which is in full, "The Hate U Give Little Infants Fucks Everybody." At this specific stage in our collective history in the 21st century, we are all caught within a cyclone of what happens when hate is allowed to lead the way, leaving monuments of damage, pain, fear, recrimination, vitriol and violence in its wake. As I stated at the outset of this posting, I am deeply frightened. For myself. For my family and my people. And to that end, for all of us should we allow all of this hate that surrounds us to fully consume us with taking a stand against it. George Tillman Jr.'s "The Hate U Give" is absolutely the right film at the right time as it firmly addresses our societal epidemic concerning our racial divide as well as our overall humanity and inhumanity towards each other, with a specialized view into Black and White relations, perceptions, and violence. Urgent, vital, crucial, impassioned and one of 2018's finest achievements. Life has certainly reared its ugly head this past month, so much so that one review that I had hoped to be completed with nearly one week ago remains in the hopper with much still to be composed. Even so, movie release schedules do not wait for my life to settle down in order for me to catch up and November is already as packed after satiated tummies after a sumptuous Thanksgiving meal. Most certainly, and somewhat surprisingly, the film I am possibly most anxious to witness is Director Steven Caple Jr.'s "Creed II," the sequel to Writer/Director Ryan Coogler's outstanding, downright emotionally primal "Creed" (2015). In addition to this sequel, there is also another highly anticipated new installment that has my interest piqued..
1. "FANTASTIC BEASTS: THE CRIMES OF GRINDELWALD"
Fresh from the beautiful and devastating "Call Me By Your Name" (2017), Director Luca Guadagnino returns with his already divisive remake of the original 1977 Dario Argento horror cult classic. At t his time, I have not seen even one frame of this film and perhaps, that is the way I will wish to keep it as to be surprised completely. And with that, I will try to leave it here although I am more than certain that other films will make their way into my personal stratosphere. Hopefully, life will allow me to keep pace. So, please my dear readers, wish me luck and good health and as always, I will see you when the house lights go down!!!!! MAN ON THE MOON: a review of "First Man"
Despite the still vivid memories I hold of the deep fascination I had with the stars and the cosmos when I was a young child, it was enough to completely turn me off from the idea of ever leaving the planet to voyage to outer space. In fact, it was enough to make me forever want to keep my two feet firmly planted upon the ground. Dear readers, let me express to you that the first sequence contained within Damien Chazelle's "First Man" is a showstopper as it is violently propulsive and superbly volatile to the point of being simultaneously breath taking and anxiety inducing. The set up is as follows: the year is 1961 and astronaut Neil Armstrong (played by Ryan Gosling) is a test pilot riding an X-15 upwards into the clouds and ultimately into space and back down to Earth again. Chazelle frames every moment from a first person perspective, essentially allowing the audience absolutely no panoramic viewpoints. Solely the extremely limited vantage point of Armstrong himself, his head obviously encased within his helmet, and all peripheral vision essentially robbed. What we are given are the pulse pounding G-Force vibrations, so raging in its turbulence that it feels the ship weighs even less than a tin can and is threatening to shatter in a moment's notice, therefore scattering Armstrong himself to the four winds. What is visible is not much more than what is in front of his eyes with portions of darkness punctuated by aggressive flashes of light. The sound is utterly terrifying in its deafening cacophony, which feels to ascend in its intensity the higher Armstrong climbs. And before it is even realized...complete silence and the sheer majestic tranquility of outer space. That is, before beginning the hyperbolic descent and ferocious landing. To think, the man only continued to voyage upwards and beyond over and a gain over the next eight years before becoming that first man to set footsteps upon the lunar surface of the moon. "First Man," the latest feature from Damien Chazelle, further cements his status as one of our most versatile young filmmakers working today. Following his exhausting, incendiary "Whiplash" (2014) and "La La Land" (2016), the lavish, extravagant musical that most of you loved but I was tremendously underwhelmed by, Chazalle's new film is a return to form (for me) as well as an extension of his sharp, complex artistic palate as he has created an experience that is a compelling work of rich juxtapositions, as the epic pursuit of Americans attempting to reach the moon runs concurrently with the piercing, painful intimacy of an interior, psychological drama, making for one of 2018's especially poignant films. As previously stated, Ryan Gosling stars as Neil Armstrong as "First Man" chronicles, in an episodic docudrama fashion, the eight year journey from the film's opening X-15 sequence to the Apollo 11 mission, which did indeed find revolutionary success upon the moon in 1969. During this same period of time, the film focuses upon Armstrong's private, increasingly melancholic home life with his wife, Janet Shearon (Claire Foy) and their two sons after the illness and death of their 2 year old daughter, Karen (Lucy Stafford). 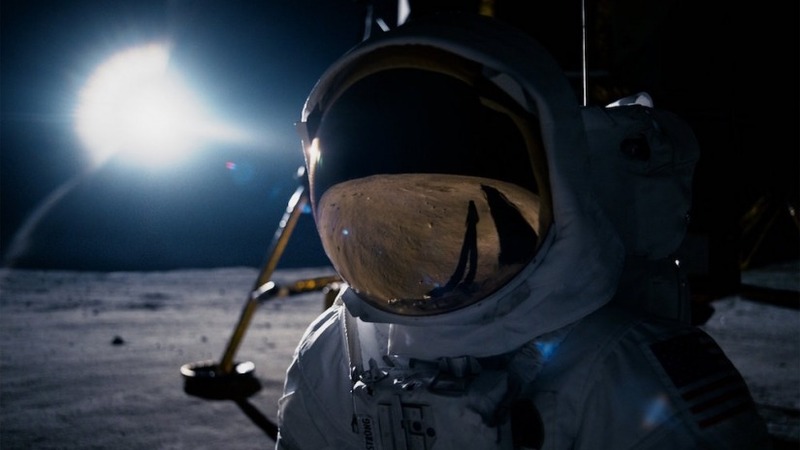 Damien Chazelle's "First Man," will undoubtedly earn comparisons to both Philip Kaufman's "The Right Stuff" (1983) and Ron Howard's "Apollo 13" (1995), and deservedly so, with its superlative filmmaking, photo realistic special effects that celebrate the realities of Science, Math, and the wellsprings of equal parts inspiration and intelligence that once mined our societal curiosity at what laid beyond our own planet and the ingenuity, plus healthy competition with the Russians in the "space race," that provided us access to travel to the stars. While Chazelle more than supplies his film with the characteristics that showcase the epic qualities of this story, "First Man" is, in actuality, much more of a hushed chamber piece that demands strict attention from the audience to piece together the motivations and meanings when regarding such an inscrutable figure like Neil Armstrong. Chazelle and Ryan Gosling do not go out of their collaborative ways to tell or even necessarily guide the audience into determining precisely what Armstrong may be thinking or feeling, especially as he continuously attempts to return to space over and again, after so many have failed or even perished trying the same feats. And truthfully, it is in the nature of mortality that the soul of "First Man" exists. For it is indeed the death of Armstrong daughter that fuels this narrative, giving the film its palpable sadness as we are unquestionably experiencing a film that serves as a meditation upon grief and mourning as it parallels the nature of personal longevity and the pursuit of legacy, much as one could witness in a film like Pablo Larrain's excellent "Jackie" (2016) starring Natalie Portman as Jackie Kennedy as she struggles to wrestle control of her life and legacy immediately after the 1963 assassination of her husband, President John F. Kennedy. As I think about both "Jackie" and "First Man," I am now discovering just how similar both films actually are in regards to their respective tones and themes, merging the historical and the psychologically individualistic, both areas equally seismic. As with "Jackie," Damien Chazelle has ensured that "First Man" thrives upon its own juxtapositions and parallels as he has unveiled a film that is often distressing--yet not to melodramatic degrees by any stretches--but one that is, even moreso, decidedly claustrophobic. Whether inside the rocket cockpits, the Armstrong homestead or within the respective minds of both Neil Armstrong and Janet Shearon, the atmosphere is increasingly stifling and constricting as the loss of Karen Armstrong is seemingly the only element that permeates each specific area. I found it very interesting that Chazelle's film really possesses only scant dialogue. No, it is not a silent movie, so to speak. But it is one where the dialogue is purposefully not designed to advance the narrative or to supply any interior insights. In doing so, Chazelle seems to have found a truly perceptive take upon the individualistic and solitary nature of the grieving process with "First Man." There is one scene in particular that occurs late in the film and directly before the landmark Apollo 11 mission, during which Neil is confronted by Janet to address their two sons to answer their questions, to either assuage or confirm their fears and to admit that there is indeed a strong possibility that he may never return home, as several of Armstrong's colleagues and friends have perished in previous attempts. Armstrong's answers towards his children are blankly technical and devoid of emotion and empathy, leaving everyone in the household to remain in their respective corners--poetically illustrating that the distance from one person to another, even when living inside of the same space, can feel as far away as the Earth to the moon. To that end, throughout the course of the film, as Chazelle presents to us the honest, matter-of-fact reality that the ambition to reach the moon is fraught with as much peril and tragedy as inspiration and determination, I often questioned just why precisely would Neil Armstrong challenge and cheat death repeatedly. Yet, it is indeed with in the film's scenes upon the surface of the moon, when Neil Armstrong is able to take in the meaning of his journey--both inner and outer--the parallel tracks of his professional aspirations and the mourning over his daughter feel to converge, beautifully displaying some sense of understanding or peacefulness at the tip of infinity. Undeniably Kubrick-ian or akin to Terrence Malick's "The Tree Of Life" (2011) in its scope and profundity. As Neil Armstrong, Ryan Gosling has again presented another accomplished, mature, difficult, and quietly intense performance. In a career that has found Gosling often portraying taciturn men, from films like Ryan Fleck's "Half Nelson" (2006), Craig Gillespie's "Lars And The Real Girl" (2007), and Nicolas Winding Refn's "Drive" (2011) for instance, his portrayal of Armstrong feels even more inscrutable than the performance he delivered in Denis Villeneuve's "Blade Runner 2049" (2017)! But, to find the soul of the performance, I suggest that you just watch Gosling's eyes throughout because they speak nearly all you need to know in order to find your way into this portrayal. Again, those juxtapositions are at work as Ryan Gosling's severe focus and minimalism.in actuality unearths a wide emotional and psychological terrain that creates an existential trauma that is fully accessible to us in the audience...even when he is not uttering a single word. Can the pain and stranglehold of grief and mourning serve as an engine for inspiration, drive and discovery? Damien Chazelle's "First Man," while not necessarily answering that philosophical quandary, does indeed provide an often riveting, disquieting, visceral, aching, exquisitely filmed and acted exploration that makes for one of 2018's most compelling films. 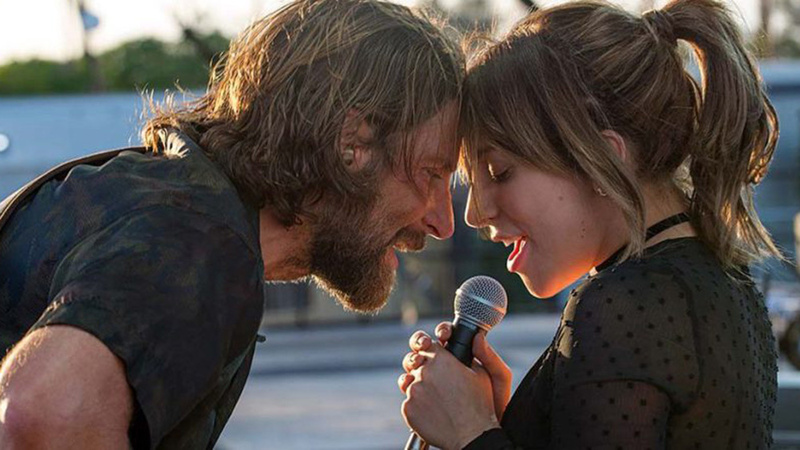 12 HIGH NOTES: a review of "A Star Is Born"
It is rare to ever witness a movie that announces itself so grandly, so rapturously and so confidently that it feels as if it has already swept the Academy Awards. I am now here to express to you that Bradley Cooper's "A Star Is Born" is indeed one of those rare films. With all of the cinematic greatness that I have already experienced this year so far--a year that has already included Spike Lee's "BlaKKKlansman," Boots Rileys "Sorry To Bother You," and Wes Anderson's "Isle Of Dogs" just to name three-- and to the films not yet released that will also undoubtedly prove their greatness, what Bradley Cooper has achieved in his outstanding directorial debut is an uncontested triumph, the type of which that nearly dares any other film to come and swipe the grand prize from its cinematic hands. It is the type of film that we tend to not see anymore as it is an updated version of an old fashioned Hollywood star driven event, as well as existing as the fourth remake of the now iconic showbiz based love story starring its rise and fall protagonists. That being said, and for all of its inherent nostalgia, Bradley Cooper has delivered a film that honors its legacy tremendously while also crafting a film that perfectly exists within our 21st century landscape as he weaves in potent and poignant themes regarding the explorations of fame and celebrity, a piercing addiction narrative in addition to providing layers of sequences designed to explore fading male dominance and rising female empowerment. And yes, Lady Gaga, in her film debut, is a powerhouse, an explosively natural acting talent capable of unveiling nuance and depth as well as being able to hit those high notes. to that end, as well as Ms. Gaga can act, Bradley Cooper has not only unleashed his finest acting work to date, his skills as a filmmaker and as a singer/musician are superlative. Multi-layered and masterful, Bradley Cooper's "A Star Is Born" is a bounty of riches that never once strikes one false note. "A Star Is Born" stars Bradley Cooper as Jackson Maine, a forty-ish music legend whose musical aesthetic falls somewhere in the alt-country/stadium rock/fragile blues realm of Willie Nelson, Ryan Adams and Neil Young, as his consistently sold out stadium concerts display his heartfelt and thunderous confessionals augmented by is crack band and his white lightning guitar heroics. Despite the adoration and legacy status, Jackson is suffering from decades long tinnitus plus an increasingly fractured relationship with his older brother and manager Bobby Maine (the treasure that is Sam Elliott). Most crucially, Jackson is spiraling deeper into artistic disenchantment and personal depression which is further fueled by his rampant alcoholism and drug addictions. Lady Gaga stars as Ally, a waitress and aspiring singer/songwriter who often performs as a singer at a drag bar. Ally meets Jackson one fateful evening as he arrives at the bar to drink the night away privately yet he is fully swept away by Ally's performance of "La Vie En Rose." The twosome meet, share drinks, one long night and songs together and soon, begin a whirlwind romantic and professional relationship. Jackson strongly encourages Ally to pursue her songwriting and most definitely, her singing, which she is reluctant due to the negative pushback she has received due to her unconventional appearance. Yet, on one night during Jackson's tour, as she watches from the wings, Jackson further encourages her to step into the spotlight and perform a song they wrote together. The crowd is enraptured and Ally quickly becomes a social media sensation and quicker still, Jackson's muse, and songwriting and performing partner. As with the previous versions of this story, Ally's star continues its ascension while Jackson's celebrity and life descends further into his addictions, creating a devastating turbulence and tragedy that threatens the art and love they have so rapturously shared. Bradley Cooper's "A Star Is Born" is splashy, splendidly spectacular filmmaking and storytelling filled end to end with dynamic musical performances (which, if I am correct, were all filmed LIVE on set and location-no lip syncing whatsoever), outstandingly urgent Cinematography by Matthew Libatique and swing for the fences acting work from the entire cast top to bottom. It is a film that unapologetically embraces the melodrama and magical, mythical qualities of its own cinematic legacy with its past three filmed versions, most notably, Frank Pierson's 1976 rock musical version starring Kris Kristofferson and Barbara Streisand. For those who will undoubtedly complain that this film knows not a whit about the music industry (you know they are out there), to those people I offer the following: this movie is not a documentary! There is more than enough elements of fantasy weaved through the narrative, which is indeed self-aware enough to know that it is the latest re-telling of a showbiz soap rock opera. But, what made me appreciate the film even more than its own sense of grandness was how beautifully multi-layered the whole experience actually was, making for a much more complex film that it needed to be and frankly, we should be more than thankful that Bradley Cooper's cinematic vision possessed such a splendid reach as well as depth. What I am primarily speaking about is the sheer authenticity that Bradley Cooper placed into "A Star Is Born," for as grandiose as the film is, he also provided an emotional and psychological weight that keeps the proceedings grounded in the most humanistic fashion even as the songs and intensity takes flight. The film opens with a veritable roar as Cooper gives us Jackson Maine and his band in full rock and roll outdoor festival glory and even though we first witness Lady Gaga's character of Ally as the hard working waitress taking out the trash as the restaurant at which she is employed, her first moments of glory are set during her show stopping performance of "La Vie En Rose." Yet, the initial courtship between Jackson and Ally in remarkably unhurried as Cooper allows his scenes and their relationship to play out in an almost meandering quality, much like what one would see in an independent film, or more truthfully, the ways sometimes real people act and behave during those magical long nights when interpersonal connections, romantic and otherwise, find their specific moments to play out luxuriously. Furthermore, Cooper could have easily taken Jackson Maine's addiction and played them for histrionics and yet, he also grounded this aspect of the film through his gritty, aching performance. I wish for you to really witness how Cooper drops his voice an octave or so, eliciting a throaty speaking growl, therefore sounding almost exactly (to an eerie effect) like his on-screen sibling Sam Elliott, which again, lends the film overall a specific gravity, as we are given Jackson's family history, the origins of his addictions as well as the cycle of abuse that he suffers from and which fuels his demons--all of which then, informs all of the musical performances, that are presented as if he is routinely attempting to chase away or is succumbing to the ocean of his inner torments. Cooper also frames this quality of Jackson Maine to perhaps explore the fragility of the male ego and a supposed sense of dominance, especially as Ally's star begins to rise while his falls. Again, while not necessarily dialing down a certain melodrama, Cooper stages some of the truly disturbing battles between Jackson and Ally (including one fight set in a bathroom as Ally soaks in a tub) with the sort of raw brutality that is akin to a Martin Scorsese film. Yes, we see not only the melodramatic aspects of professional jealousy and resentment but the raucous unleashing of a man's internalized cycle of abuse towards the woman he loves and fears will eclipse him romantically and artistically as well as towards himself. In a strange way, "A Star Is Born" also takes its multi-layered approach in to the character of Ally and Lady Gaga's performance of her in a style that could possibly make the film work as "The Origin Story Of Lady Gaga." I do think that it is telling that the screen credit is given to "Lady Gaga" instead of her given name, which is Stefani Germanotta, as this film feels to be the next (and carefully staged) sequence in the artistic odyssey and shape shifting that this larger than life performer has adopted for herself--especially as this film follows upon the heels of Lady Gaga's most and soft-rock styled recent album entitled "Joanne" (released October 21, 2016), which is incidentally her real life middle name. For Lady Gaga in the real world and Ally within "A Star Is Born," we are witness to a "rages-to-riches" story that feels purposeful in the ways that the two mirror each other. Maybe more truthfully, what we are witnessing in the film is Lady Gaga almost speaking in character within a character directly to us about how she has tried to create her own career in our fame obsessed society and how she has persistently attempted to claim her path for herself and with the very drive and integrity that has since inspired legions of fans to embrace and believe in her. But of course, that path in maintaining one's integrity in a word that cares nothing about such things possesses a powerful struggle that I would feel certain Lady Gaga has struggled with from time to time and what we do witness Ally confronting...and possibly not always succeeding. After one incredible concert performance together Ally is accosted by Rez (Rafi Gavron), a record producer and would be Svengali who wishes to sign Ally and mold her career--much to Jackson's chagrin and jealousy and at times, to Ally's consternation, which does place her inside of a inner quandary about achieving her wildest dreams but how much of herself would she compromise to do so and furthermore, how does this affect her reaching her own levels of female empowerment? For Ally, changing her hair color leads to having a team of back up dancers which leads to a more processed, synthetic sound which leads to the concert tour-new album-concert tour treadmill, all of which provides her with inner conflict, does indeed lead to appearances upon "Saturday Night Live" and winning Grammy Awards. We have seen all of this with the real Lady Gaga yet within this film, it really felt to me that she, through Ally, was giving us a "behind the scenes" peek at the machine at work and the difficulties of monkey wrenching art and honest soulfulness into the gears. Yet Ally is nobody's fool and I loved how Lady Gaga portrayed this character with such earned street smarts and with such a strong perceptiveness into human nature that we can easily see not only what attracts her to Jackson Maine (which really has nothing to do with his celebrity, which attracts him in turn) but also how she knows at their first meeting that he is an addict, yet she is willingly gets herself into a relationship with him. Even moreso, Ally is presented as someone who is also but is more than willing to walk away if need be, consequences be damned. Ally gives as good as she gets, making her a formidable partner in love and in music. Again, the authenticity at work grounded every single moment of this story, which does fly into fairy tale dreams of super-stardom, yet Lady Gaga's performance is a study in effortless naturalism. No artifice. No prefabricated emotions. Not one moment at any point felt remotely false and therefore, unrealistic. She delivered the goods in ways that I had not imagined that she even contained within herself. And when she sings, merging, character, lyrics, emotion and psychology together, the effect is stupendous. Her final scene in the film, which Cooper brilliantly and beautifully films in a (mostly) unbroken, unedited close up will lay you flat in its power for certain, but for all of the honestly earned emotions that Lady Gaga conjured in her stellar acting from her first moment on screen. A Best Actress nomination for her is as inevitable as it is fully deserved. Bradley Cooper's "A Star Is Born" is a passion project in every meaning of the expression. By combining elements of reality and fantasy, music and drama, authenticity and myth-making, Cooper has marvelously delivered a film that sits within the rare cinematic universe that houses not only something like Scott Cooper's "Crazy Heart" (2009), but more perfectly, Albert Magnoli's "Purple Rain" (1984) and Cameron Crowe's "Almost Famous" (2000)!! Yes, Bradley Cooper hit a cinematic grand slam on that level and ensuring that everyone within his cast--which includes both Andrew Dice Clay and Dave Chappelle, who each elicited astoundingly beautiful performances in just a few short scenes--and his crew operated at the very same peaks. There was noting that I could have wanted that Bradley Cooper did not give to me at any moment in the film and to accomplish a feat that heroically, is nothing less than movie magic to me. Bradley Cooper's "A Star Is Born" is easily one of the very best films of 2018.